Edward L. Gibbs, 87, was born on July 1, 1931 to the late L.B. & Gennia Gibbs, Sr. 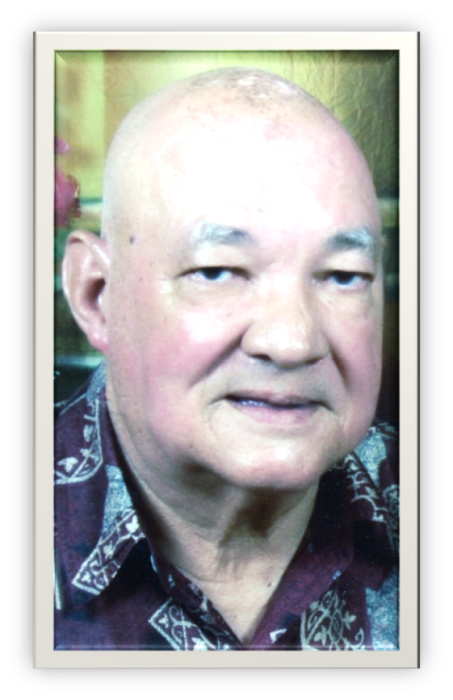 He departed this life on November 18, 2018 at Diversicare Rehab Center in Ripley, MS. He married Alice Cox-Gibbs and later moved to Flint, MI. To this union, seven children were born. He later married Juanita Hunter-Gibbs and raised nine stepchildren. He worked and retired from General Motors in Flint, MI and then later moved back to Mississippi. He leaves to cherish his memories: two sons, Edward (Alberta) Gibbs of Blue Mountain, MS and Thomas D. Gibbs of Tiplersville, MS; two daughters, Margie (Ron) Polk and Mary Arther of Houston, TX; four stepsons: Oliver (Brenda) Hunter of Ripley, MS, Andre Hunter, Charles Hunter and Promise Hunter all of Flint, MI; four stepdaughters: Mari (Joe) White, Rita (Roy) Williams, and Viola Hunter all of Flint, MI, and Catyna (James) Robinson of Dallas, TX; four sisters: Lillie Crum of Flint, MI, Mary (Vernell) Owens of Tiplersville, MS; Wilma Colom and Catherine Edgeston of Walnut, MS; two brothers, John Gibbs of Flint, MI and Rev. L.B. (Dorothy) Gibbs, Jr. of Memphis, TN. Visitation will be held Friday, November 23, 2018 from 12 noon – 7 pm at Foster and Son Funeral Home in Ripley, MS. Service will be held Saturday, November 24, 2018 at 12 pm at Greater Mt. Olive COGIC in Tiplersville, MS. The body will lie in state one hour prior to service. Interment will follow at Mt. Olive COGIC Cemetery in Tiplersville, MS. Services entrusted to Foster and Son Funeral Home of Ripley, MS. To view and sign the guest registry, please visit www.fosterandsonfuneralhome.com.